Happy faces, new gear at the 10 p.m. start of La Petite Trotte à Léon in downtown Chamonix, France. Photo by Joe Grant. When I first launched this blog, I started looking around for someone else to write gear reviews for the site. Gear reviews are the bread-and-butter of most outdoor publications, but I feel wholly inadequate when it comes to writing them. For starters, I’m not exactly one of those people who meticulously researches gear. Large details (as in, is it a 20 degree sleeping bag or a -20 degree sleeping bag?) are important to me, of course, but I fail to get as excited about the small stuff (as in, 8-panel or 10-panel cycling chamois?) Surprisingly, most of the gear I use works for me — probably because I hold the attitude that most well-made gear works. So any gear “review” I write has to come with the disclaimer that I don’t possess a critic’s eye. Still, after dragging a few pieces of outdoor gear through the ringer at La Petite Trotte à Léon, I discovered a few somewhat unexpected items that worked particularly well for me. Since these items could potentially be of use in multiple formats of adventure racing, I thought I’d list them here. Neoprene kayaking gloves: How many trail runners ever give any thought to donning some kind of terrain protection on their hands? While shoes are discussed ad nauseam in the running world, glove considerations rarely go beyond a thin layer of material to keep fingers warm in cool temperatures. 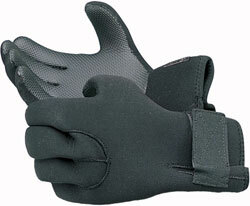 Winter runners may don ski gloves or fleece mittens. But what about an endurance event that involves a fair percentage of hand-over-head scrambling, on terrain ranging from rock to sharp talus, in wet and sometimes icy weather? The textured surface of a basic pair of neoprene kayaking gloves provided solid grip on slippery rock, extremely steep and muddy slopes, and also the occasional metal chain that had been bolted into the mountain for security on exposed sections. The neoprene material also kept my hands warm in heavy rain with temperatures in the 30s, that impossible range of weather where even ski gloves will eventually soak through and leave fingers rigid with cold. Although these gloves were most effective in wet conditions, I later wore them in drier, cold weather because they protected my palms and fingers so effectively from sharp rocks and the occasional (okay, reasonably frequent) fall onto my hands. Cycling gloves: When I wasn’t wearing the neoprene gloves, I would done a pair of light cycling gloves to protect the palms of my hands from blisters caused by trekking pole use. The nature of PTL and my lack of specific upper-body training often made it feel like my arms were getting more of a workout than my legs, and I was glad to have some padding for my hands. 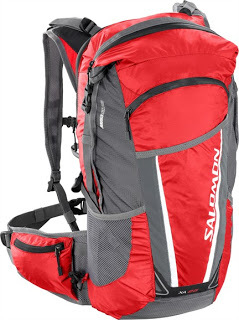 Salomon XA 25-liter backpack: Backpacks were the gear my PTL teammates and I discussed most leading up to the race. Do we go with 20 liter, 25 liter, or 35 liter? Front-mounted bottles or hydration bladder? I finally settled on this Salomon pack because it has a waterproof compartment that I could use to hold my clothing, food, batteries, and maps, without worrying whether these things were protected from the elements. This backpack worked beautifully for me, holding up to a lot of abuse (scraping against rocks, sliding down snowfields on my back, cramming large items into small pockets, whacking through brush, etc.) while keeping my important gear fully dry. 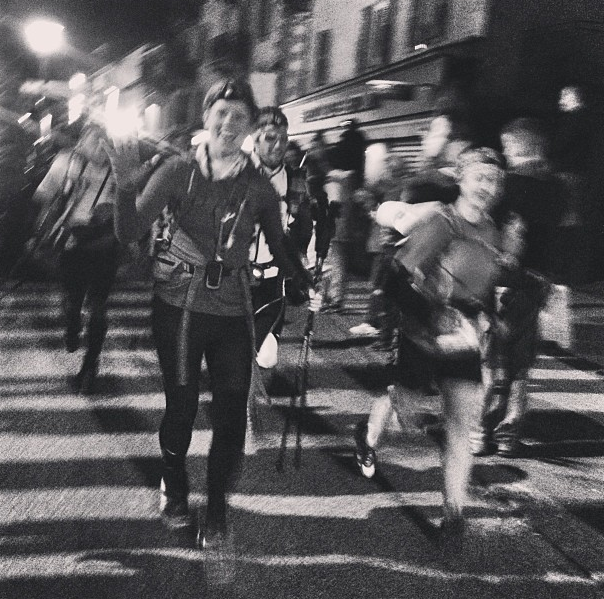 The pack had plenty of space for the amount of warm clothing and food required in this largely self-supported event, and fit comfortably with no chafing on my shoulders or back. And the pack includes an external pocket for hydration bladders that made refilling a breeze. Weighing in at just over a pound, this is a solid pack for adventure racing. 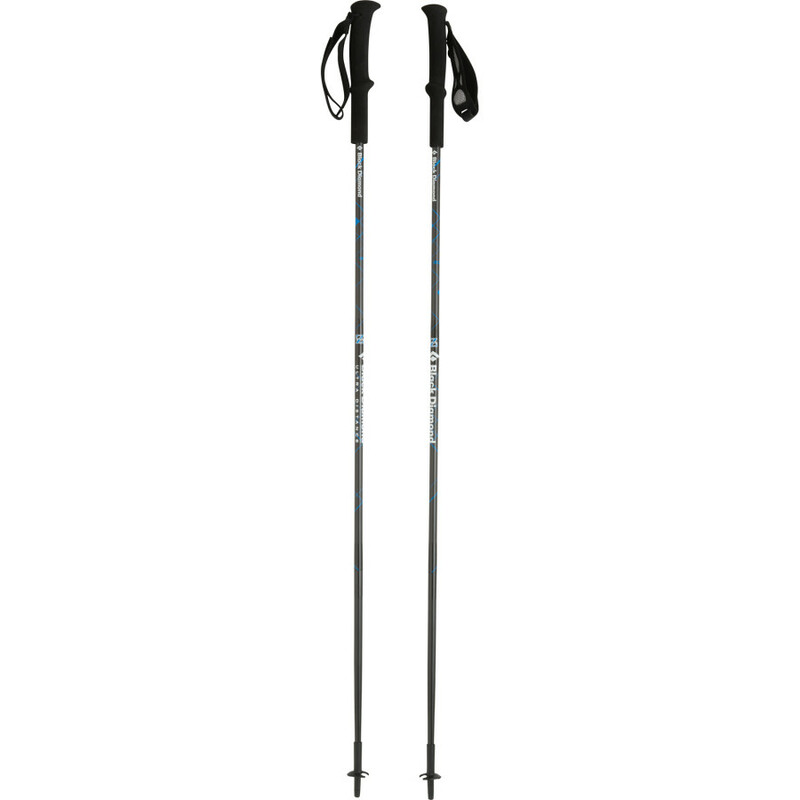 Black Diamond Ultra Distance Z-Poles: I’ve been exposed to enough mountain racing in Europe now that I’m shocked when I attend a 100-mile event in the United States, and observe runners *not* using trekking poles. Frankly, I’m baffled. 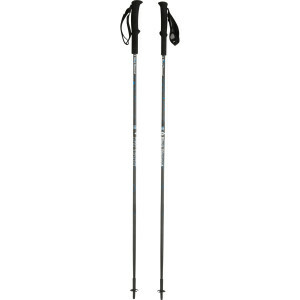 I realize that one has to lift the poles off the ground and carry them to run anything faster than a 12-minute mile … but the amount of support they provide on steep climbs, not to mention the balance they promote on steep descents, make trekking poles an invaluable tool to anyone traveling by foot through the mountains. I’m especially fond of the carbon Z-Pole — lightweight, durable, and able to support the full weight of a 135-pound runner cramming them into boulders at medium speeds for hundreds of miles’ worth of use. As an, shall we say, accident-prone runner, I also benefit from downhill “crutches,” and have learned to run at a reasonably good clip while using them for support. The Black Diamond Z-Poles consist of a concealed inner cord, a single push-button release and a one-pull deployment for easy set-up and break-down on the move. The fixed-length poles fold into three parts for stowing. These things were brand new when I brought them to Europe a month ago. Hoka One One Mafate 3: Or, as I think of them, “fat tires for your feet.” Hokas are still the laughing stock of mainstream trail running, but they’re gaining more traction in the ultra-distance market. In the case of the Mafate, that traction is literal. Version one of the Mafate had ample cushioning but almost no tread; wearing them in mud was like donning a pair of skis. Hoka has made ample improvements for version three, with 5mm lugs to grip loose terrain and an oversized midsole to provide stability. I also like the quick-lace closure, which allowed me to adjust the tightness of my shoes when my feet started to swell. I think shoe talk is the most boring gear talk of all, so I won’t dive into the accusations and defenses of “mattresses for your feet.” I simply wanted to point out that Hokas can be comfortable and effective shoes in highly technical terrain — the kind of terrain where you’re wedging your toe into cracks to climb up a rock chimney or running down a steep talus slope. Not only can Hokas hold their own on technical terrain, they also provide effective cushioning for the adventure racer who has to stay on their feet for the better part of 92 (or even more) hours straight. It says something that one of my teammates, Ana, was laughing about the shoe early in PTL, and then, not even two weeks later, had acquired her own pair. They may look like clown shoes, but at the end of the long day on the trails, you’re the one who’s laughing. I love gear reviews like this, Jill. Short and practical. That Salomon backpack looks nice. And I’m beginning to alter my thinking on the Hokas. I’ve gone to more minimalist footware for running and am loving it. 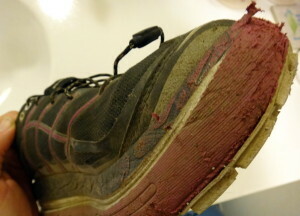 However, I’ve read a couple of other things about the advantages of more cushioned footware for distance events, especially where a lot of hiking is involved (as opposed to running). For most people hiking means heel-striking. I have run the Equinox Marathon several times and hiked it once. Hiking it was more brutal. At the time I didn’t know why, now I think it’s because of all that heel-striking. Anyway, thanks for the great reviews. Eric, I agree with you that Hokas a great for hiking. It hadn’t occurred to me before that heel-striking may be part of the reason. 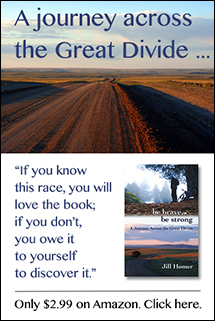 I was amazed just how few foot problems I had during PTL, and how little my feet hurt following the race given all of the impact they received. My hands were more sore than my feet afterward. Since only 5 percent (or less) of PTL was running, this particular endorsement would have to be for their use as a long-distance hiking shoes. I don’t know if I would say that $200 shoes that look like that after one month “work.” Shoes without good soles, good traction, and enough support can contribute to accidents and injury. If you feel unstable on the trail as you frequently comment you do, the footwear could definitely be a contributing factor. Last time I wore trail soft running/hiking shoes on a Chugach peak I noticed the difference in descending was extraordinary (in a bad way), and led to some knee problems on the descent. I can’t help but think the choice of footwear is a poor one in that terrain – and a total waste of money from the look of them! I won’t go to great lengths to defend Hokas but I’m not going to soon give them up either. I still frequently use Brooks Cascadias on shorter training runs and I can’t say I feel any real difference in my stability. Falls actually come less frequently these days than when I mainly used Cascadias for my training runs, and before that when I was a hiker in Montrails. It’s mostly a matter of building more skill and confidence, I’m sure, although I tend to be slow at skill-building in my physical endeavors. I’ve never been much of an athlete. Anyway, they’re not for everyone. I like them. They noticeably aid in minimizing impact so I recover quickly after traveling distances and durations that you don’t approve of anyway. So I can’t argue that point. But I really think it’s similar to suspension versus no suspension on a bike. Pros and cons on both sides, but sometimes more cush can be helpful, and usually it’s more enjoyable.